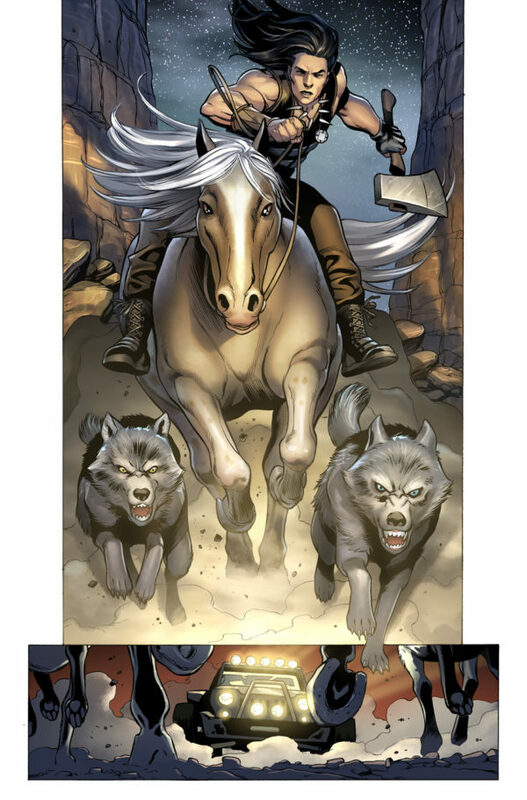 Take Back Justice! 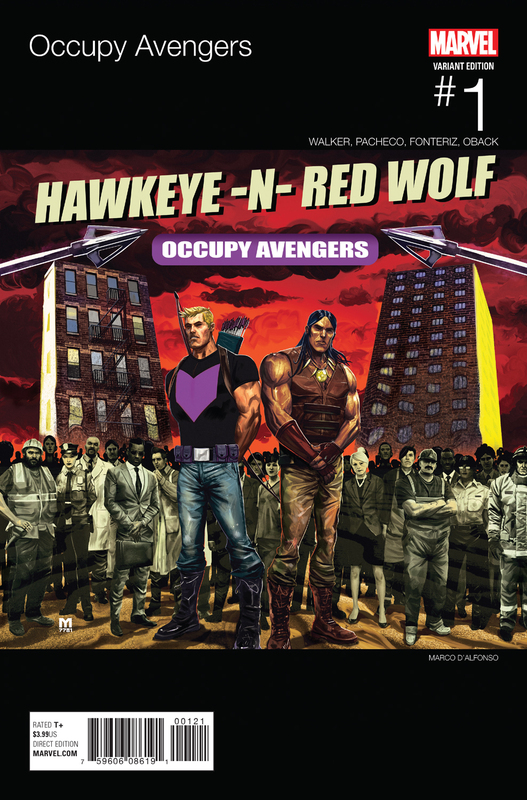 Your First Look at OCCUPY AVENGERS #1! 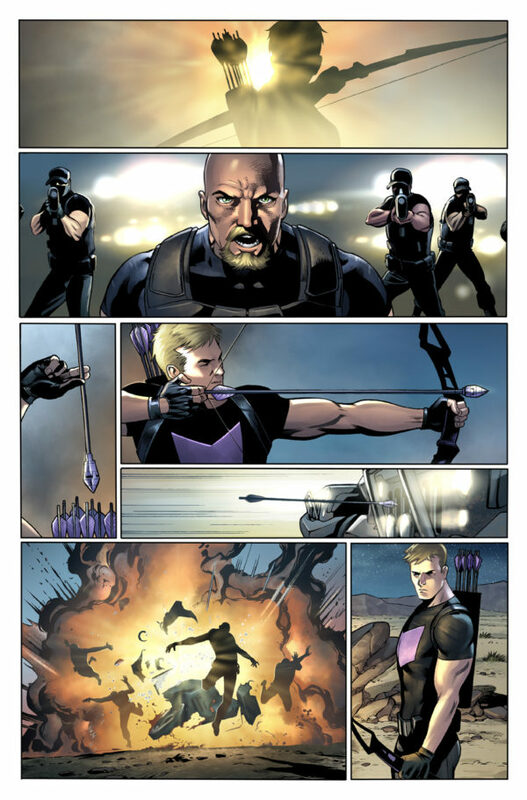 Hawkeye, Red Wolf and More Form a Team of Avengers Unlike Any Other! New York, NY—October 6th, 2016 — Super heroes – they’re a privileged class. Doing what they want, when they want and suffering none of the consequences. They have no regard for the ordinary people who are left behind to suffer in their wake. Something has to change. Today, Marvel is pleased to present your first look at OCCUPY AVENGERS #1 – the brand-new series launching this November from critically acclaimed creators David F. Walker (Power Man and Iron Fist, Nighthawk) and Carlos Pacheco (Captain America, Uncanny Inhumans)! The question remains – who will stand up for the little guy? There is a man. 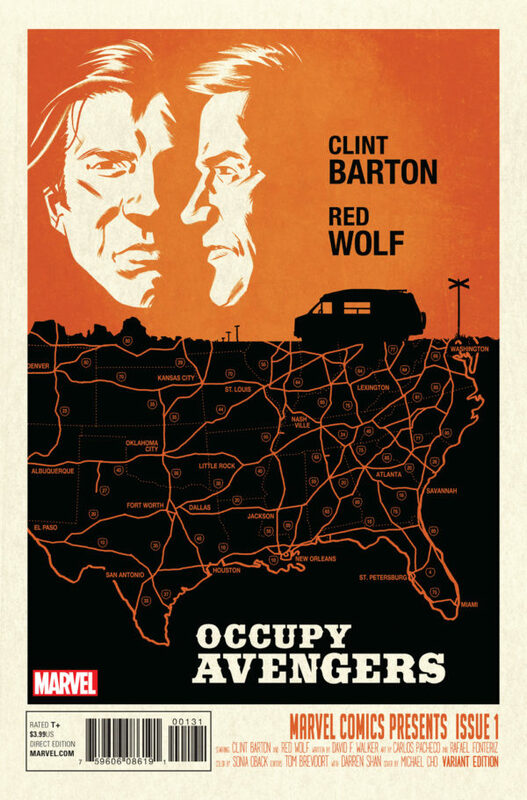 If you can find him, and if he believes in your cause – he and his friends will put things right. Some call them outlaws, rebels, vigilantes. To others, they’re heroes, through and through. 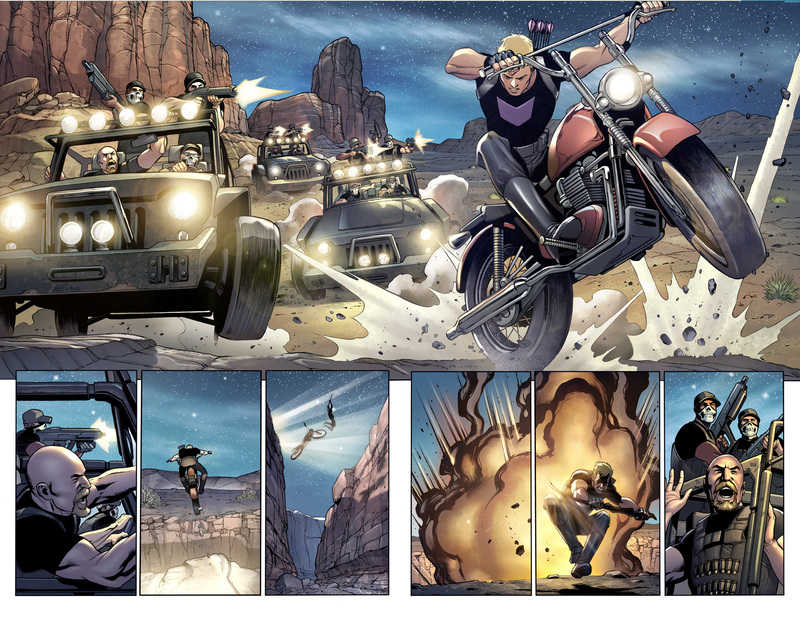 No powers to speak of – just skills, smarts and a burning desire to do what’s right. 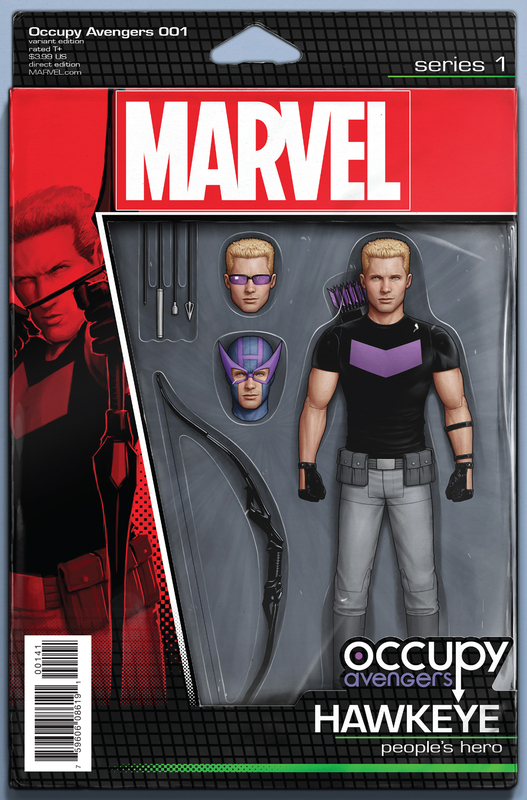 His name is Clint Barton, Hawkeye. And it’s time to take back justice! 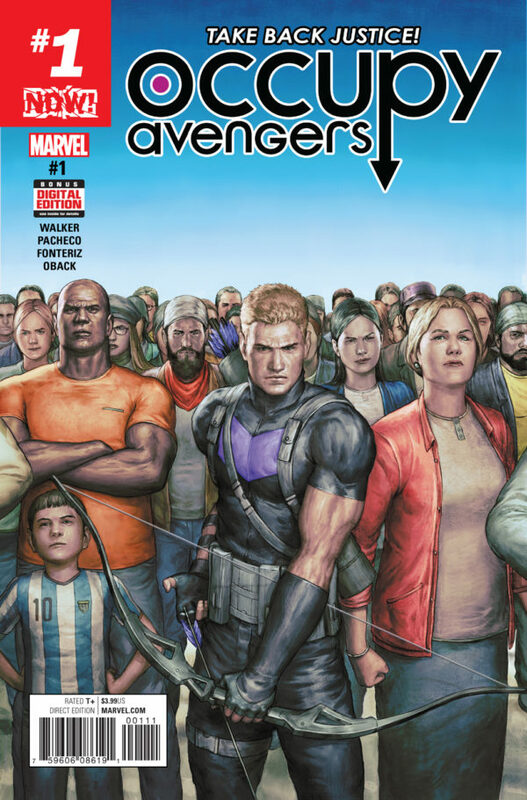 Don’t miss the thrilling debut of Hawkeye’s new team of heroes on November 2nd when OCCUPY AVENGER #1 comes to comic shops and digital devices everywhere!